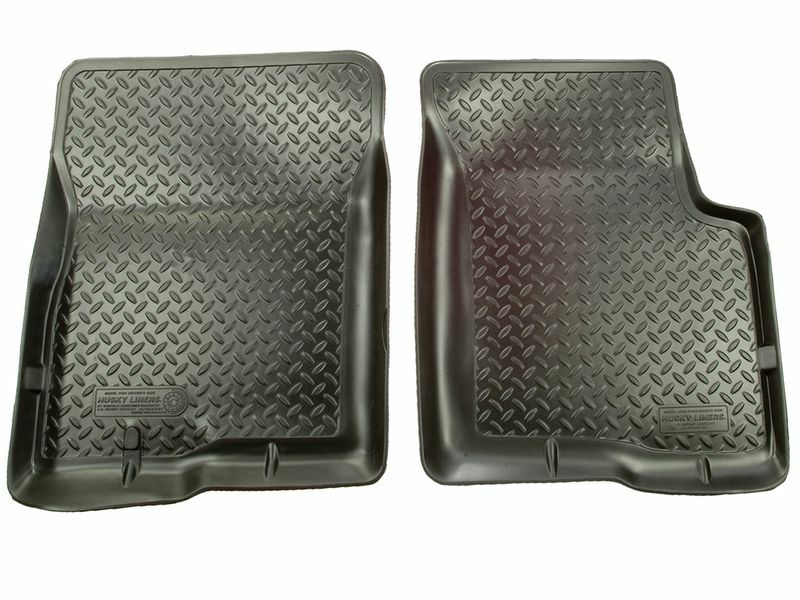 If you want floor mats to protect the carpet in your car or truck, then you want the mats that set the standard in protection, Husky Liners classic style floor mats. These floor mats are the original and offer maximum protection from heavy foot traffic. Classic Husky Liners will provide your truck, car, or SUV with protection and coverage that only contoured floor mats can offer! Classic style liners are made from an exclusive elastomeric compound that is as flexible as rubber but resistant to chemicals such as gas, oil, or even battery acid. Your floor mats will even come with a lifetime guarantee against breaking or cracking. These floor mats also feature a timeless diamond plate tread pattern that will help keep your feet elevated and out of the muck. Water, snow, or mud will also be kept away from your carpet by the raised edges of these mats. Husky Liners classic style floor mats also feature patented Sta-Put Nibs on the back side of each liner that grip your carpeting and prevent any shifting or slippage. Husky has designed your classic floor mats to follow the contours of your floorboards using the latest in laser scanning technology. 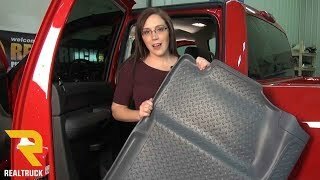 This technique ensures that these mats will fit your car or truck precisely. 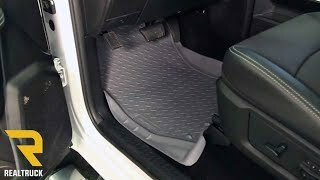 Husky makes these floor liners available in black, grey, or tan to match the interior colors of most vehicles and you can get a classic style liner for pretty much any piece of flooring you want to protect, from the front row to the rear cargo liner and everything in between. Experience the coverage and protection for yourself, you've got nothing to lose since Husky Liners are backed by a lifetime warranty. Once you see how well these floor mats work, you'll know why they say "go ahead, get dirty!" Husky offers a lifetime warranty on the Husky Liners floor liners. Husky Liners Classic Style floor liners are designed to work with your existing retention hooks or posts and follow all of the contours of your floor. These Classic Style liners are quite flexible and will fit your vehicle like a glove. The installation instructions included with your mats highlight any special needs and are very easy to follow. If you have any additional questions about any Husky Liners product or if you just need additional information, please feel free to call our customer service department at 877-216-5446. NOTE: Trimming may be required if you have a factory subwoofer mounted underneath the back row driver's side seat.